The following is a list of professionally written editorial articles and helpful guides from members of the ISPreview.co.uk team. In addition, we also conduct interviews with prominent industry figures and these have been similarly listed below. We examine the impact of DNS over HTTPS technology on UK broadband ISPs, which may struggle to adapt as they lose control over centralised Domain Name Systems. ISPreview takes a look back over the past year to produce an 'Editors Picks' summary of the best home broadband ISP options for 2019 by a mix of quality and money savings. A brief look at the broadband router options and features offered by some of the UK market's biggest ISPs. We take a look back at how the performance of key national broadband ISPs and mobile operators has changed during 2018. A short summary of all the key plans and investments that are currently being made to deploy Gigabit capable "full fibre" (FTTP, FTTH and FTTB) broadband across the United Kingdom. We summarise a small selection of the latest and best consumer FTTC (integrated VDSL2 and ADSL modems) "fibre broadband" router options for the year of 2018, which may improve your network. In-flight internet access (WiFi) is increasingly growing to become a key service differentiator. We take a trip to the USA on British Airways to see how far the technology has evolved. We examine the sometimes controversial decision by major broadband ISPs to obstruct subscribers from connecting to the internet via their own third-party router instead of the bundled kit. ISPreview.co.uk takes a look back over the past year to produce an 'Editors Picks' summary of the best home broadband ISP options for 2018, which is sorted into categories for quality or saving money. We examine how a selection of other countries advertise their fixed line broadband ISP speeds and compare those with the United Kingdom's approach. We take a look how the national performance of key fixed line broadband ISPs and mobile operators has changed during 2017. An annual summary of the progress in deploying "full fibre" FTTP / FTTB / FTTH broadband networks across the United Kingdom. Sometimes it's easier to negotiate a lower price with your existing ISP than to switch provider, we explain how and why you should try this. We attempt to identify the cheapest UK superfast broadband and line rental ISP bundles for 2017, which can be a minefield of different offers and discounts. We examine the demise of the traditional fixed home phone / voice line (PSTN / POTS), which over the next 8 years will be replaced by a broadband focused and VoIP dominated solution. Once again we take a look at some of the latest consumer FTTC (integrated VDSL modem) "fibre broadband" router options for the coming year of 2016. ISPreview.co.uk examines how much it costs (electricity usage) to run a modern home broadband router from several of the major ISPs and what factors influence the outcome. 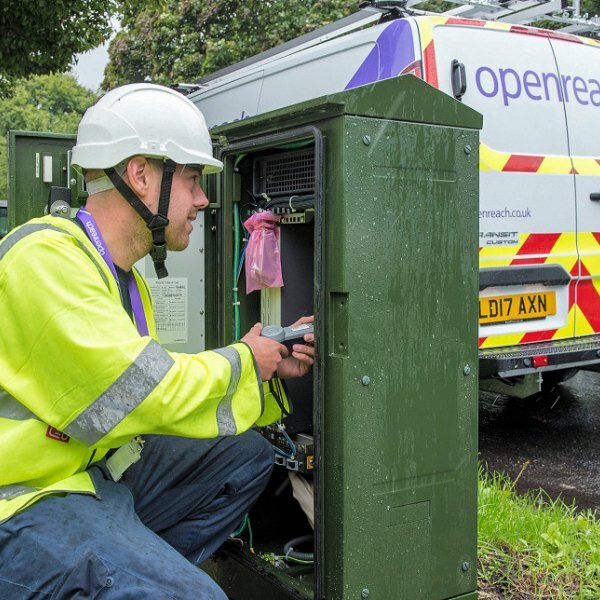 We take a look at the issue of full to capacity FTTC "fibre broadband" street cabinets, which can prevent people from ordering a new connection on Openreach's (BT) network. A short and simple guide to help Students choose a new broadband ISP when living away from home. We look at some of the top reasons why it's not always possible to order FTTC "fibre broadband", despite the service being available in your area. We consider what impact an increasingly fragmented and Internet content focused Pay TV market could have on consumer behaviour. We look at the huge impact that different video compression methods can have on your broadband connection, data usage and viewing experience. ISPreview.co.uk delivers an 'Editors Picks' style summary of the best home broadband ISP picks for 2016, which is sorted into categories for either saving money or quality. We investigate the rising cost of Line Rental (Phone) services and how it fits in with changes in the wider broadband market, which can create confusion for consumers. We take a quick look back over the past 12 months to see which home broadband providers suffered the most bans for bad or "misleading" adverts. ISPreview.co.uk takes a look at why using Satellite technology to deliver superfast broadband (30Mbps) speeds to the final 2-3% of the UK might struggle as a longer-term solution. On 20th June 2015 the way in which UK consumers switch broadband and phone providers will change, we explain what this means and how the new system will work. ISPreview.co.uk takes a look at some of the ISPs that claim to offer the cheapest unlimited broadband bundles in order to see if they're telling the truth. Is it possible to improve the performance of your home WiFi network? We suggest a number of tweaks that might help to boost your local network quality. We take a brief look at the common confusion between Megabits and MegaBytes in order to show how the two are easily confused when referencing broadband speeds. ISPreview.co.uk offers up a short 'Editors Picks' style summary of the best broadband ISP choices for the coming year of 2015, which has been sorted into categories for saving money or quality. ISPreview.co.uk takes a look back over 2014 and then forwards into 2015 to examine some of the United Kingdom's most significant broadband technology and Internet policy changes. We take a look at some of the latest consumer FTTC (integrated VDSL modem) "fibre broadband" routers for the coming year of 2015. This is a separate update to our original 2014 article. ISPreview.co.uk takes a look back at some of the most misleading adverts for broadband ISP packages in 2014 and reveals the worst providers for banned promotions. 26/08/14 Mark.J Let's Stop Having Different UK Definitions for "Superfast Broadband"
ISPreview.co.uk looks at the different and often confusing ways in which the government, providers, local authorities and the industry regulator describe the target for "superfast broadband" coverage. 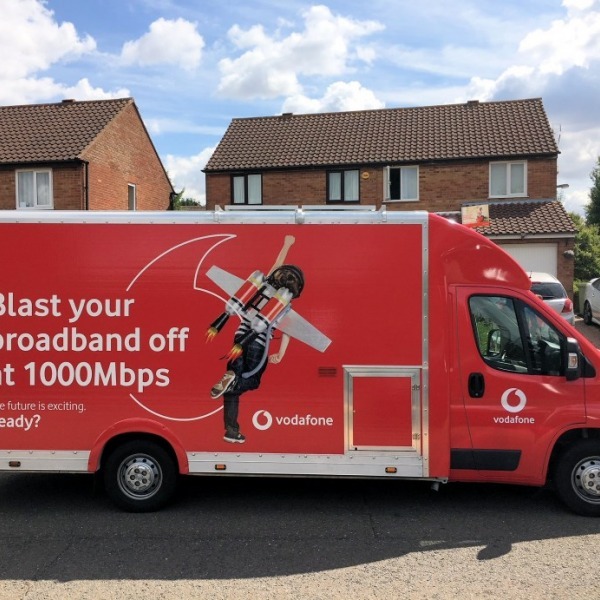 ISPreview.co.uk examines how ISPs often fail to promote the upload speeds of their broadband service, which is despite its rising importance to modern Internet connectivity. 27/07/14 Keith.O Do We Really Need "Superfast" Broadband? ISPreview.co.uk's Keith Oddy questions society's perception of "superfast broadband" and examines whether or not we really need faster speeds and why our expectations could be difficult to meet. Can public wifi hotspots survive the growing power of Mobile Broadband connectivity or will they ultimately become the victim of their own fiddly sign-up forms, slow speeds and sporadic coverage? ISPreview.co.uk examines the difficulty, primarily from the perspective of websites and ISPs, of being able to accurately identify how old a specific customer or visitor actually is. It's possible to improve the performance and stability of your broadband ISP connection by simply changing the cable between your router and wall socket to a shielded twisted pair. We explain why. An annual ISPreview.co.uk editor's choice selection, which reviews some of the Best Broadband ISPs in the United Kingdom for consumers to choose in 2014. A quick summary of the top ISP routers for subscribers to superfast broadband services, which are based off hybrid Fibre-to-the-Cabinet (FTTC) technology (VDSL / VDSL2). 27/12/13 Mark.J Do UK Broadband ISPs Try to Hide Complaint Contacts and ADR Info. ISPreview.co.uk investigates how easy it is to find contacts and information about the official consumer complaint process on the websites of major broadband ISPs. A short and simple guide that runs through some of the basic considerations, options and offers for student focused broadband and phone solutions. ISPreview.co.uk takes a look at the future Fibre to the Distribution Point (FTTdp) broadband ISP technology, which over the next few years could be used by BT to boost internet speeds. ISPreview.co.uk offers up a bunch of tips to help you keep your broadband ISP routers and modems running smoothly during the hot summer months. ISPreview.co.uk asks whether or not some of the markets best known broadband ISPs do enough to make their support contacts easy for consumers to find. ISPreview.co.uk takes a look at some of the best alternatives to traditional home wifi wireless networks. ISPreview.co.uk investigations the potential pitfalls of adopting internet address IP sharing (Carrier Grade NAT) instead of IPv6 (includes feedback from several UK ISPs). The annual ISPreview.co.uk editors choice pick of the Best Broadband ISPs in the United Kingdom for 2013. ISPreview.co.uk examines how "fibre optic" broadband is being advertised by UK ISPs and questions whether or not consumers are being misled by some of the claims. Many consumers of BT's new FTTC superfast broadband ISP products do not know how to identify when slow service speeds should be reported as a fault. We explain the key facts. National UK cable ISP Virgin Media reveals its future plan to adopt the new DOCSIS 3.1 (DOCSIS NG) standard and possible 10Gbps broadband speeds. ISPreview.co.uk takes a look at what the latest data from Ofcom can tell us about the impact of high network latency and packet loss on consumers at eight of the UK's largest broadband ISPs. Several of the United Kingdom's largest consumer broadband ISPs have spoken to ISPreview.co.uk about the increasingly urgent issue of Internet Protocol v6 (IPv6) adoption and their current state of readiness. ISPreview takes a look at the various UK based broadband movie (film) video streaming services that have surfaced over the past couple of years and attempts to pick the best. ISPreview explains why the lack of good broadband ISP connectivity, despite what some people might think, is most definitively not just an issue that has confined itself to the UK's many rural areas. ISPreview takes a look at the various different methods of keeping your internet connect and personal data private and secure while going online. The ISPreview Editors pick of the best broadband ISPs in the UK for 2012, based on their previous performance throughout 2011 and reader feedback. A guide designed to simplify the process of choosing a new UK ISP by enhancing your knowledge of the broadband market, its different solutions and any potential pitfalls that you might encounter along the way. 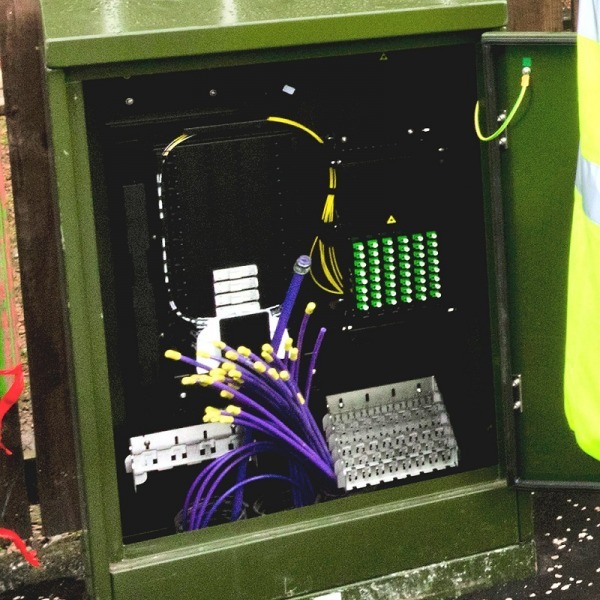 ISPreview UK takes a look back the first year of fttc fibre optic broadband internet access technology and questions ISPs about their experiences, before looking at what the future has in store. ISPreview UK reviews the Deltenna WiBE Wireless Broadband Enabler, which claims to deliver vast improvements to Mobile Broadband signal reception and performance, even in some of the most rural locations. Simple UK ISP tips and tweaks guide to help improve the performance or stability of your ADSL (up to 8Mbps) or ADSL2 (up to 24Mbps) based broadband internet access connection. The ISPreview Editors personal pick of the best broadband ISPs in the UK for 2011, based on their previous performance throughout 2010 and reader feedback. ISPreview investigates the various different UK definitions of superfast Next Generation Access (NGA) broadband and how incorrect or weak interpretations could fail the entire market. 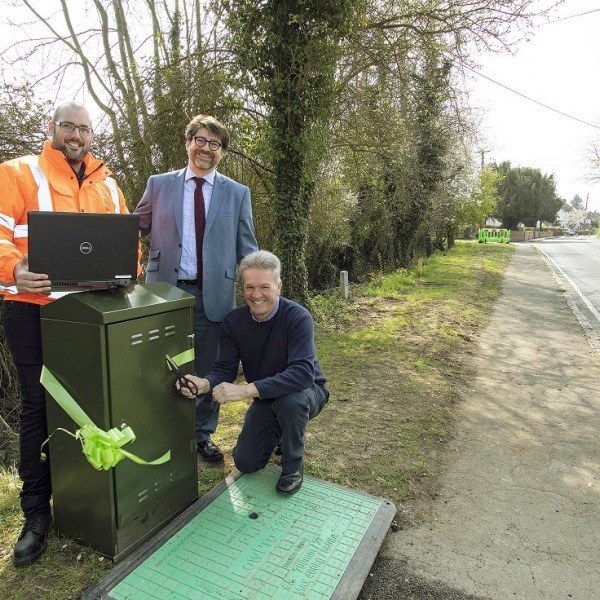 ISPreview investigates the potential current / future solutions and challenges facing parts of the UK, especially rural areas, where a fast broadband service has yet to reach. ISPreview.co.uk takes a close look at what consumers can expect from 100Mbps next generation fibre optic UK broadband ISP services, with a particular focus on the BT Fibre-to-the-Premises FTTP product from BT. ISPreview.co.uk and UK ISP Zen Internet examine the Fair Usage Policies and Traffic Shaping or Management measures employed by some broadband providers. ISPreview exposes the unusual stealth, hidden and downright confusing additional charges that some UK broadband providers will levy against their consumers, often unfairly. The ISPreview Editors personal pick of the best UK broadband ISPs to choose in 2010, based on their previous performance throughout 2009 and reader feedback. Exclusive Independent interview with UK Broadband ISP TalkTalk. This article covers next generation broadband, illegal file sharing and the promise of universal 2Mbps broadband for everybody. Some handy tips, tricks and tweaks you can make to improve your chances of getting a good Mobile Broadband signal..
We test the email based customer services/support quality of 19 UK broadband ISPs to find out who does the best. 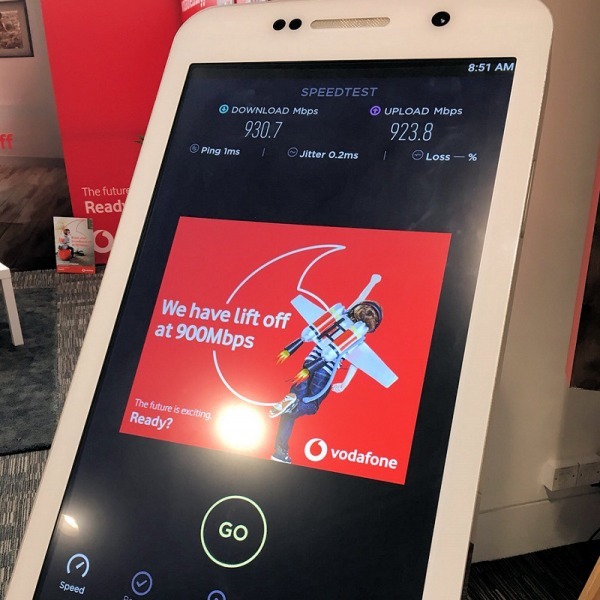 Simple guide to help explain what Mobile Broadband (3G) services can and can not do in terms of speed, latency and connection limits. This is my own personal unscientific choice of the best ISPs for 2009, based on their previous performance throughout 2008 and reader feedback. Ten useful tips to help you secure your home and or business wireless (Wi-Fi) network against malicious hacking attempts. ISPreview interviews BT's Group Communications Director, Peter G Morgan, regarding next generation broadband solutions and its pro-Phorm stance. ISPreview investigates how the government and industry plan to tackle online file sharing (P2P) piracy. Includes exclusive feedback from several UK Internet Service Providers. ISPreview investigates the problem of broadband congestion and why it's causing broadband services to slow down or restrict their products. We suggest some helpful hints design to prevent junk e-mails from clogging up your inbox. ISP Review's mini-guide for new surfers looking to get hooked up with broadband ADSL for the first time.